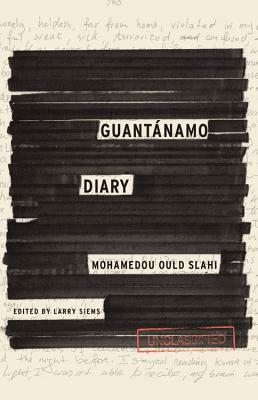 Mohamedou Ould Slahi wrote this diary in 2005 while in detention in Guantánamo. For years he was considered America’s highest ranking terror suspect; I don’t know when that designation changed, or if it ever did. In 2008 the U.S. Supreme Court ruled that Guantánamo detainees could challenge their detention through habeas corpus. In 2009 U.S. District Court Judge James Robertson heard Mohamedou’s petition and in 2010 ordered his release. Within weeks, Obama’s administration filed a notice of appeal, sending the judge's decision back for review. The case is still pending. Mohamedou remains in U.S. custody in Guantánamo. An NYRB review by Steve Coll introduced me to this title. It is, as Coll maintains, a “remarkable” document. Mohamedou was targeted by U.S. intelligence after the Millenium Bombing Plot in 1999, when Ahmed Ressam attempted to drive explosives from Montreal to Los Angeles. Mohamedou claims not to have known Ressam, but he was living in Montreal at the time also. After talking with his parents in Mauritania, he decided to return home rather than be surveilled by American intelligence agents. As soon as he arrived in Senegal to be picked up by his family, he was detained for questioning by his own government and subsequently released. After 9/11, he was called in by Mauritanian intelligence to answer questions. He drove himself to the police station, beginning a long and harrowing tale of capture, rendition, torture, and imprisonment. Taking into account all we know of the successes, failures, intents, bureaucratic execution and distortions that are a part of our “intelligence” history, I think we have to conclude that keeping Slahi in Guantánamo for some 15 years is far from our finest hour, if he forgives the understatement. Moreover, it has not made us safer, that oft-recycled excuse for exceeding the letter of the law. Slahi’s reminiscences are unexpectedly keen, propulsive, visceral, and colloquial, using American expressions to describe circumstances and characters we are sure to recognize. I say “unexpectedly” not because he is a Muslim, but because he is an engineer. It may be profiling to say that in my experience with engineers spoken or written language is not usually their forte. Mohamedou used English to write, though his stronger languages are Arabic, German, and French. He went to school in Germany, and understands western habits. He graduated from the University of Duisburg with a degree in engineering. When his visa was expiring in Germany, he traveled to Montreal to find work. Using English allows Mohamedou to address us, the American electorate, directly, and to gently remonstrate using our own language habits, and peculiar phraseology. We wish we knew this man, could send him books, could argue with him late into the night, only to realize with sadness, bitterness, and distaste after putting the book down that such things will never happen. Too much water under the bridge, we can almost hear him say. Phase two is when you realize that you’re in jail and you possess nothing in the world but all the time in the world to think about your life—although in GTMO detainees also have to worry about daily interrogations…you have control over nothing…you have no privacy…In the beginning it is a horrible thing to lose all those privileges in the blink of an eye, but believe me, people get used to it. I personally did. One has to conclude it may have been a crime to keep him locked up. Highly recommended. Larry Siems is a human rights activist and directed the Freedom to Write program at PEN American Center. He worked with Slahi's legal counsel to get this document released. It has been translated into 24 languages. Penguin Young Readers has selected several storybooks from their G+D Vintage archives for reprint in time for Easter this spring, in advance of further titles coming along in early summer. Long out of print, these books are selected for their retro-chic appeal and classic illustrations. 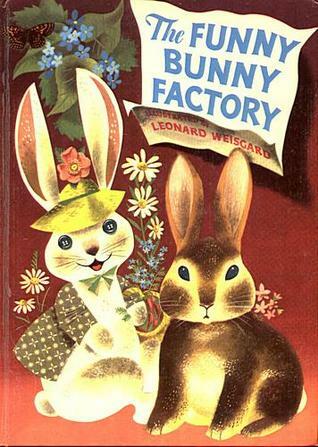 This particular story features a little bunny who should be dazzled by the long lists of fun hats and delightful candies he discovers in the abandoned factory where he makes his home. It is only when he comes upon the field of carrots lying outside the factory doors that he finds true excitement. I love it when children turn up their noses at candies and go for the fruit—or vegetables--so this one is high on my list for big punch lines. One senses the societal change in the fifty or sixty years since the book’s original publication when the list of jobs attached to the hats the bunnies find seem as distant as Shakespeare. My family has long experience with rabbits, both the domestic variety and with the ones that nibble tender greens in my city garden. There is still something about bunnies that remind us of spring, so bring a little of the past into the present and share with your kids, grandkids, and great grandkids the truth about bunnies. • The Too Little Fire Engine by Jane Flory. • Mr. Wishing Went Fishing by Irma Wilde, Illustrated by George Wilde. Twenty years after the massacre of 263 men, boys, and one woman at Vukovar, the centuries-old Croatian town alongside the Danube, Goran Hadžić was captured and extradited to the Hague, last on a list of 161 indicted for war crimes and crimes against humanity by the International Criminal Tribunal for the former Yugoslavia (ICTY). It was a fifteen year manhunt filled with big personalities, creative surveillance techniques, much double dealing, and the leaking of sensitive documents which allowed many of the indicted to initially slip their would-be captors. Intelligence services of several nations both cooperated and obstructed each other and the small intelligence arm of the ICTY at different times, depending on the priorities of their individual services, on the egos of their team leaders, and to ensure no casualties on their own teams would cause consternation in their home countries. 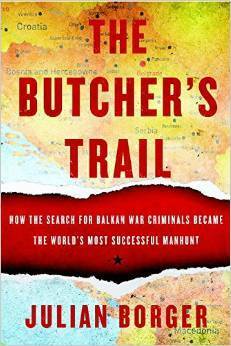 Borger brings the manhunt to life in stunning detail yet with a reporter’s distance, allowing us to see the curve of the investigation and what the Hague trials ultimately meant for the survivors of atrocities in the former Yugoslavia. The overwhelming majority of those indicted for war crimes were men, and yet two women did more than anyone else to ensure those on the list were tracked down: Louise Arbour and Carla Del Ponte, both chief prosecutors for ICTY at different times. Borger shows how their contrasting prosecutorial styles and strategies were instrumental in imposing maximum pressure on reluctant governments to search for and apprehend those responsible for the crimes in the former Yugoslavia. In the process of highlighting the men most responsible for the genocide in Yugoslavia and recounting the search for their henchmen, Borger gives us an overview. of the history of the region and snapshots of the worst atrocities. Many of those accused of crimes against humanity stayed in positions of power in the states newly formed after the fall of Yugoslavia, going about their business, literally, without fear. In perhaps the most banal of captures, Mitar Vasiljević, a former waiter-turned-paramilitary terrorist of his town’s Bosniak majority, was captured when French intelligence rented an apartment Vasiljević owned, seizing him when he came to collect the monthly rent. The ICTY tracking team experienced only one truly voluntary surrender: Vojislav Šešelj was founder of the far right nationalist Serbian Radical Party and was accused of recruiting brutal paramilitary groups to carry out ethnic cleansing. He arrived at ICTY’s Belgrade outpost one day with a suitcase, demanding to know who was going to pay for his ticket to the Hague. Šešelj had cancer and was released in 2014 for treatment in Serbia, his case not yet settled. Borger includes lessons learned by special forces in the laboratory of the Balkans, shares the story of a hairpin turn and the cognitive dissonance theory of a gorilla suit, and liberally seeds his reportage with names we recognize, including a younger David Petraeus taking small roles in intelligence or capture and learning lessons he will go on to use as commander of troops in Iraq and Afghanistan. Polish, French, British, American and even German special forces had teams doing investigations, some more effectively than others. This nonfiction is so filled with criminals and covert attempts at capture that the reality of the vast genocide in the region begins to take a backseat to the ludicrous wealth of storytelling possibilities, whether it be for film or fiction. The history is tailor-made for a long-running film series allowing one to see into the twists and turns human reason takes when nationalism, religion, guns, and power converge. Borger makes the case that vast military resources of participating countries searching for the war criminals were not as effective as a small band of dedicated and resourceful investigators hired by the ICTY to pursue leads, one example of need for focus rather than overwhelming strength. Participating countries’ intelligence services were often victims of false leads and misinformation, and their mandate to eliminate risk ensured every high-profile capture was accompanied by too much of everything, an embarrassment of riches. "Under the leadership of an American judge, Theodor Meron, an eighty-three-year-old Holocaust survivor and former Israeli diplomat, the new judgments significantly raised the threshold of proof needed to convict political leaders. It was no longer enough to demonstrate that senior officers had control over the units who committed mass murder." Apparently American and Israeli governments were concerned that their generals would be indicted one day for backing armed rebels or insurgents in Lebanon, Syria, Iraq, or Afghanistan. Governments are being forced to recognize and acknowledge where their actions come dangerously close to crimes against humanity. Julian Borger covered the Bosnian War for the BBC and The Guardian. He is currently diplomatic editor at The Guardian. 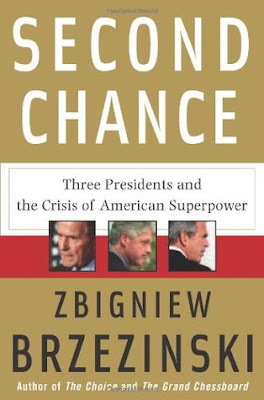 First published in 2007, the title ‘Second Chance’ refers to the possibility that the United States would be able to recognize and seize its historical moment as the world’s only superpower to do the moral and necessary thing: to lead the world towards greater amity, less divisional politics and severe wealth disparities, and to prepare for the changes climate change will unleash. Brzezinski was National Security Advisor to Jimmy Carter 1977-81 and went to academia (Harvard, Columbia, Johns Hopkins) since. This book looks at three U.S. presidencies after the breakup of the Soviet Union in 1991. Brzezinski was a Sovietologist by education and is never so articulate and convincing as when he is discussing the intentions and pressures of Russian society. Bush I enlisted the help of Arab states to oppose Saddam Hussein’s aggression against Kuwait, and began to set in motion a process to address the Israeli-Palestinian issue which, along with American troops on religious ground in Muslim lands, fed resentments in the Middle East . Clinton I is characterized by Brzezinski as a cheerful, idealistic president embracing globalization but primarily concerned with domestic concerns, unwilling to involve the country in adventures outside the borders. Clinton I had a casual style of leadership on the kaffesklatsch model featuring prolonged meetings with spontaneous participation by a wide variety of White House officials whose personal influence was “fluid.”. Only when forced to acknowledge widespread large scale violence in Yugoslavia did he belatedly put together a NATO coalition to oppose it. Clinton I had the smarts, the smooze, and the talent to put the United States into its role as “leader of the free world,” but he did not have the temperament nor discipline for it. The presidency of Bush II had a “catastrophic” effect on America’s standing in the world. The simplicity with which Bush I elucidated his Manichean worldview, “If you are not with us, you are against us,” shows his complete unawareness of the complexity of world alliances and nations’ decision-making realities. He squandered his opportunity to lead the world by risking the goodwill of every nation by operating on gut instinct rather than through reasoned consideration, turning his adventurism in Iraq into a global disaster that plagues us still. Thus, we turn to strategists like Brzezinksi when things go very badly wrong and we need to know how to extricate ourselves from the holes which we have dug for ourselves. We can see his point, that world leadership is desirable and needed to smooth the differences in opinions among diverse countries. It might as well be the United States, since we are [still] the world’s only superpower. Our internal divisions, however, preclude our ability to solve even the smallest issues we face domestically, negating any privilege wealth and might may accord us. 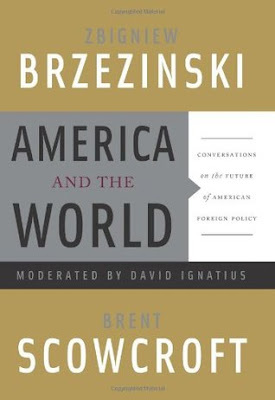 Brzezinki’s point in writing this book in 2006-7 was that America could still manage to lead if it could manage some restraint and regulation in domestic affairs, and put our values to good use. The book he wrote in 2011-12, Strategic Vision: America and the Crisis of Global Power , is far more strident and apocalyptic, with far less optimism that the world would look anything like it had for the past several hundred years. It is a new century, and America is in decline. Is American leadership necessary? This was the question I set out to answer when I began looking the analyses of foreign policy experts. One of these experts is Zbigniew Brzezinski, former National Security Advisor to President Jimmy Carter (1977-1981). Brzezinski was instrumental in the 1978 Camp David Peace Accords signed by Anwar Sadat and Menachim Begin. 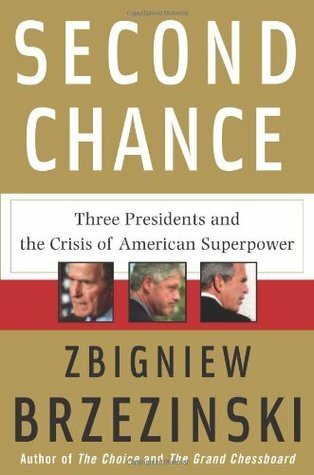 Brzezinski has written many books suggesting initiatives and directions for American foreign policy since he left office, most notably his book Second Chance: Three Presidents and the Crisis of American Superpower in which he describes the successes and failures of three administrations (Bush I, Clinton I, and Bush II) to pull Russia into the European community after the failure of the Soviet state, to address the festering Israeli-Palestinian conflict, and to begin to address widening disparities in wealth & influence among the world’s partners. He has long felt that the world’s remaining superpower could help steer increasingly contentious countries to solutions we will need on problems which will soon arise for all of us in a world changed by climate. Without leadership, the world might not be able to orient our direction to solutions that lessen the burdens of inequality. 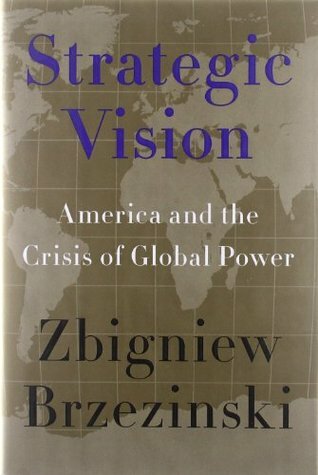 In Strategic Vision, written before the reelection of President Obama for a second term in 2012, Brzezinski sounds far more apocalyptic than he ever has, suggesting that unless we take control of our internal political mayhem, the corruption of our financial and political systems, and the widening gap between the wealthy and the rest, we may find the world has moved on, without leadership, to a bunch of special interest nationalities, all seeking to preserve their own interests in an interdependent world. Naturally, I didn’t like this book as well because it posits there are no roads back once we have missed our opportunities. New opportunities come when old ones are exhausted, but the central question is whether or not we are ready to create opportunities to steady and lessen the rancor developing throughout the world to pressures all of us will be subject to very shortly (debilitating changes wrought by climate change). The American populace seems more awake now than at any other time in recent memory, with outside candidates for president railing at the corruption in the system. We have enormous pressures for change within our own society as a result of political gridlock for precious years. Perhaps the political will is finally solidifying to make the changes necessary. Now we just need to choose a president who can be effective with so many internal and external challenges to their leadership. Brzezinski is a Sovietologist by education and is extraordinarily fluent, fascinating, and lucid on the subject of changes Russia has undergone and that are ongoing in Russia. It is worth reading the book for that portion alone. He makes a special attempt to incorporate Obama’s pivot to Asia in this book, examining how the strengths and weakness of the Asian and south Asian economies and political systems affect the global balance of power, pointing to India and China as the most populous and potentially influential power centers. He makes a point about China that is worth reiterating: as a country with a homogeneous population and long history of central control, it has been extraordinarily effective in creating an extremely strong national identity. That nationalism is something quite new in the experience of other national entities, riven as they are by populations with different religions and races. China’s sense of itself in the world is just developing: its leaders are patient, but its people are ambitious. They face enormous resource and population pressures and difficulties in modifying their one-party system. We don’t know how this will play out in years to come, but currently China has a stake in the U.S. managing to get the corruption of our financial system under control. It doesn’t want to see us fail in this, not right now. We shouldn’t want it to fail, either. Brzezinski talks about Obama as president, praising Obama’s speeches as candidate and as president, but noting that Obama never spoke to the American people directly about the challenges we face. Part of the job of a leader is to educate its populace, and to ask it to sacrifice for the common good. Obama failed dismally in not raising for public discussion the corruption of special interest money in election financing, the pressures of climate change on our aging infrastructure, the need for restraint in corporate governance. I feel painfully that missed opportunity, but there is some indication in the early presidential election results that some people have gotten the message anyway, no thanks to a hot-air media which is never so happy than when repeating its own predictions and inaccuracies. Brzezinski writes of the central position of Turkey and its ambitions, and supports the notion that it would eventually be welcomed into the EU. He still holds out hope that Russia would rein in its divisive tendencies, leading to a conception of the West that looks like the entire North of the globe, including all of North America, through the Mediterranean, and encompassing Russia. This is a large leap, especially in light of events of recent years, but I like seeing how Brzezinski got there. Looking for the philosophical underpinnings of the necessity for U.S. leadership in the world, I came to Chalmers Johnson through Perry Anderson’s book, America’s Foreign Policy and Its Thinkers. This series of essays Johnson wrote from 2004 through 2009 for TomDispatch.com, a website that features very loud criticisms of the government (and everything else), mainly describe Johnson’s distaste for U.S. militarism around the world, including massive numbers of bases on foreign soil. About three-quarters of the way through these repetitive essays I was exhausted with Johnson’s shrill argument. He has an academic’s surety of the correctness of his own ingrown opinions. That’s not to say I disagreed with him completely. First, I learned a few things that I didn’t know before: I wasn’t aware, for instance, that the CIA has largely outsourced the operations part of its intelligence collection. Why then, I wonder, does Republican candidate for President Marco Rubio spout on about “increasing the size of the CIA to improve intelligence”? If intelligence collection is run largely outside the Agency, that would just put more power and money into the hands of the corporations that do the work, e.g., Science Applications International Corporation (SAIC) headquartered in San Diego, Booz Allen Hamilton, and CACI International. I knew protection and fighting (to some extent) had been outsourced. I wasn’t aware that intelligence was outsourced, though I would have thought that was a “neat idea.” I agree with Johnson that the CIA should be dismantled, but some intelligence can and should still be collected, compiled, and analyzed. If large corporations are merely recreating an extensive bureaucracy that mirror what the government did in the past but at greater cost and less accountability, it doesn’t seem such a wise idea. We would have even less oversight and guarantee of institutional depth and knowledge. Certainly there have been documented abuses by these groups during Iraq’s Abu Ghraib chapter which indicate problems with execution of U.S. intentions, and adherence to U.S. values. Johnson’s proposition is worth considering: that we leave intelligence analysis within the purview of the State Department, and collection within the myriad other organizations set up now to do that very thing. Another thing Johnson has pointed out which I did not know is that most countries in Latin and South America (and South Korea!) apparently loathe America and want nothing to do with their military bases or anything else. Johnson says it is a result of people in those countries learning of “dirty tricks” played there by U.S. agents in the past to influence elections and business decisions. Abuses committed by the CIA have largely been tasked to them by the White House in various administrations, which just goes to show that power, especially secret power without oversight, can have a pernicious effect on values. Brzezinski, National Security Advisor to Jimmy Carter (1977-81), whose books I have reviewed lately, was so focused on Russian containment during the lead up to Soviet involvement in Afghanistan, that Brzezinski ordered the sale of arms, missile launchers, defensive weapons, etc. to the Afghan mujahideen, which gradually evolved into Al Qaeda’s strongest allies and foot soldiers there. A number of other secret coups and involvements by the CIA have changed the course of many countries’ histories, usually for the worse. We have to ask ourselves if the outcomes had been equally bad without our involvement, would that justify those illicit actions on behalf of our government? I think it is just wiser to stay on the side of our values. It is easy to forget that the United States only created the CIA in 1947 after WWII as a result of the successes of the OSS behind enemy lines. A recent film by the son of CIA Director William Colby, “The Man Nobody Knew: In Search of My Father, CIA Spymaster William Colby” (2011), dramatically illustrates the origins and almost immediate problems issuing from secrets created and held at the highest levels, to say nothing of the enormous damage done by double agents. We owe the organization nothing. We tried it and it did not work well. There is no reason we must perpetuate a bureaucracy that fails so spectacularly (witness the exquisite failures of the organization under the leadership of George Tenet during Bush II). Johnson reminds us that Tim Weiner spent twenty years researching the CIA for his book Legacy of Ashes: The History of the CIA, which I suppose I need to read before I condemn CIA's bones to the dust heap of history. 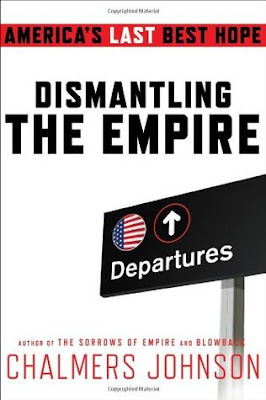 That’s next up, along with Johnson’s earlier trilogy starting with Blowback: The Costs and Consequences of American Empire, his bestseller originally published in the year 2000. It has gone into a second edition, with updates dating to 2003. In closing, I wish Johnson was less of an academic in his writing and more of a reasoned scholar, if all he is going to do is talk about what needs to be done. If he were making the decisions, I wonder how he would manage. I dislike his tone intensely, even when I agree he has made a point. And I heartily disagree with his notion that Andrew Bacevich, another slaphappy and shrill academic, should be Secretary of Defense. If that’s the best he can come up with, may he retread old arguments ad nauseam to his band of the converted. In the spring leading up to the 2008 election, this conversation between two former National Security Advisors, Brent Scowcroft and Zbigniew Brzezinksi moderated by veteran foreign policy journalist David Ignatius, touched on the state of the world and how America should interact. Both men believe in American exceptionalism, not merely because of our enormous luck in geography and resources, but because our diverse population has given us strength. The development of our democracy followed a path that is not replicable in the rest of the world, but it has given us the resilience we needed to develop a strong sense of the value of personal initiative. Both men conclude that what matters most, what guides our hand in foreign policy, are values. In 2008, both men agreed that Obama and Hillary Clinton embodied those values. These two highly respected foreign policy analysts are known as “realists” on different sides of the political spectrum but they both recognize the need to balance realism and idealism in a national leader. We are again at the crossroads to choose a national leader, and the candidate who most effectively balances realism with idealism will win. Both men talk about the speed of communication and the spread of ideas as something that is accelerating access to information and change, making it more difficult for nations to defend widely unpopular polices. "One of the fundamental differences between Europe and the United States is that Europe has developed in such a way that they’ve had to get along with each other. As a result of geographical limitations, they’ve increasingly lived in larger urban units and therefore had had to have rules for behavior, rules for managing people’s interaction with each other. People who couldn’t stand that kind of confining regulation tended to come over to the United States. Scowcroft raises something I have never explicitly thought about before in terms of global politics: that population and resource pressure in China is something that may eventually cause them to cast a hungry eye on Russia. There is much, much more: they talk of Putin and the pressures within Russia, some of which have broken out into action in the years since this book was written. It was a bit sketchy on our relationship with China and Asia generally, partly because these men were in office before China was really a major force in our economy and politics. They talk of the need for talks with Iran, which also happened in the years since this book was written. All in all, it was ravishingly interesting, and not so distant that it feels like history. It will not be surprise to anyone who has been paying attention that for the past twenty years our political system has been awash in special interest money. Mayer tells us it is forty years. What Mayer does in this detailed accounting is to elucidate the sources of that money and the routes it takes to influence votes. What may be more surprising to readers is how often that money has failed in its mission. Probably the best reason for reading this book is to see how Jane Mayer allows these individuals and groups to speak for themselves. She quotes from statements spoken by fund raisers at their own gatherings, from the literature distributed under their aegis, and from interviews with associates. Mayer also traces the many shell companies through which the money flows to hide its origins. She documents why the groups feel it is necessary to hide the source of the monies and why the folks involved do not want their names to be known. Many of the families besides David and Charles Koch who most ardently support far right wing causes are not the self-made men of legend. They are heirs of fortunes who seek to retain those fortunes. The tax laws in our country have been such that persons with enormous fortunes could use a portion of it for charitable giving rather than have it taxed by the government. These generous brethren have decided to do the patriarchal thing: to “give” portions of their fortune to like-minded groups they create to influence the populace. I am not suggesting they don’t work hard at it. They do. Lots of effort has gone into creating an empire on the backs of a people they disparage. What I cannot reconcile in my own mind is how these folks, experienced in the advantages (and disadvantages) of great wealth, don’t come to the conclusion that money isn’t the point. There have been too many studies on the limits of wealth to ensure happiness for these experienced folks to have missed the central point. Money does buy power, but look at the uses to which these folks want to use their power: to perpetuate their own wealth, despite the documented injury to the environment their companies perpetuate and to the continued abasement of their workforces. Even Koch scoffs at the notion that he needs more money. I just don’t get it. And, it seems, neither do the American public. Despite libertarian donors of like-minded billionaires pooling their capital donations and pouring hundreds of millions of dollars into influencing the last presidential election, their arch-nemesis Obama was reelected. Of course, he was unable to accomplish much in his term because of the groups were successful in filling the House and Senate with politicians they’d supported financially: the darlings of what is still called the Republican party, e.g., Paul Ryan, Ted Cruz, Marco Rubio, Jeb Bush, among many others. When Mitch McConnell became Majority Speaker of the Senate, he hired a new policy chief who was formerly a lobbyist for Koch Industries. Neither Ohio Governor John Kasich or real estate magnate Donald Trump have a part in the Koch money cabal. But…remind me again, who won in the presidential election primaries in NH this year? If you have been confused about the obstreperous obstructionism Obama encountered in the House and Senate even after he was elected, twice, to the presidency, you may be interested to learn that the money promised to groups favoring select Republican candidates for the coming presidential election has been estimated to be over $800 million. Apparently the Republican Party itself is the poor step-sister of a shadow organization that dwarfs it in money and reach. These monies have begun in recent years to target local elections and judge nominations. In these arenas dark money seems to have more effect (see the change in the red/blue map of governerships and local districts after 2010), perhaps because national elections get more voters. More voters often translate into more moderate results. In addition, the money is going to influence academic centers and think tanks. Penetrating academia – a delivery system for the group’s ideology by winning the hearts and minds of college students--has long been on their wish list. Academia is an investment for the Koch’s ambitious designs. Their own literature claims they have funded 5,000 scholars in some 400 universities throughout the country. “Privately funded pro-corporate centers can replace faculty teachings with their own.” The groups are also pouring money into online education, paying lower-income students to take more courses. The intent is to create an “idea pipeline.” I have to say, Bernie Sanders’ proposed free college education sounds better than ever. But at the end of it all, I am still perplexed. We know the sources of the dark money discussed in this book believe in small government free enterprise. But do they really believe that corporations do not have a responsibility to provide living wages and a non-polluting environment? At the same time company profits and management wages soar. Unfortunately for their argument is the fact that many of the corporate heads financing opposition to regulation are under indictment for pollution caused by their own corporations. They are trying to address this also, changing perceptions by calling their investments “wellbeing” grants. In the end, what I don’t like about the current system of free enterprise and/or payments for work is that corporations have shown that they don’t do very well at controlling themselves. Corporate governance is beginning to sound like an oxymoron. Corporate boards blame their inability to control costs on the need to make profits for stake-holders or investors, but the salaries and bonuses these boards award themselves at the expense of cleaning up pollution caused by their companies or to avoid paying a living wage to workers make them look foolish (and greedy). I guess it really is so simple as narcissism: the wealthy come to believe they deserve to be wealthy because they are either smarter or more deserving in some other way. If that is the inevitable outcome of the free market system, I think we can state unequivocally that it does, in fact, need regulation. We could, I suppose, just throw away the whole system. Which, do you think, sources of dark money would prefer? I think everyone needs to read or listen to this book but if you don’t feel you have the time, go to the library or a bookstore and read Chapter 14. 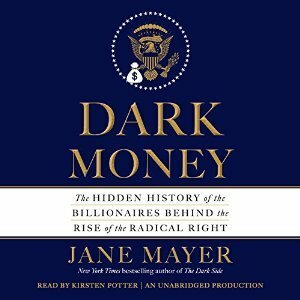 While in previous chapters Mayer tells us how the groups began, which groups and donors comprise dark money, and what they have tried to do, in this final chapter Mayer tells us what is happening now. This is important for how we integrate and process any new information we learn. Mayer has also written several smaller articles in The New Yorker, beginning in 2010. A wonderfully informative January 24, 2016 NYTimes book podcast is also available on this title. Get the information piecemeal if you must, but you will definitely want to inform yourselves. Link to a list of groups created and sustained by Koch Family Foundations. I listened to the audio of this title, produced by Penguin Random House and narrated by Kirsten Potter. Potter paced the narrative well, and may have tried to inject some excitement into the narrative by using a somewhat sensational vocal modulation. A dry recitation may be more boring, but the material needed no enhancement. There are times in every person’s life when one desires to know the essence of things. It often happens when we are young, and if it does, it may hang around in the back of our minds all our lives, breaking through into real questioning and investigation at different stages, when we need to know how to understand events, either personal or public. Sarah Bakewell makes the argument that the ideas of the European phenomenologist and existentialist philosophers of the twentieth century have so pervaded our world view that we have incorporated their philosophies into our art, literature, rebellion, and social movements, often without knowing exactly where those ideas have come from. Bakewell makes the point that we need to revisit the genesis and development of those philosophies again, not because they were necessarily right, but because they make us think. 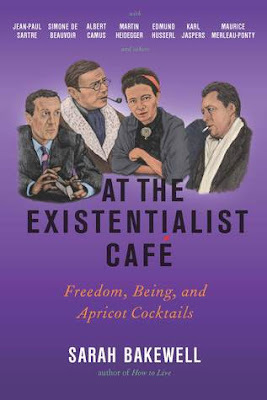 At a time when people are questioning the notion of “freedom” to act, of whether we have any agency in the direction of the world or whether we are cast about by forces against which we can only react, Bakewell believes that revisiting the record of the lives, friendships, and scholarship of the existentialists will show us the ways in which they were both acting and reacting to the world around them. This is no dusty, boring tome filled with outdated ideas. Bakewell packs the book with details of the lives and conversations of some of the most charismatic and influential thinkers of the twentieth century. This is philosophy lived, not just talked about. If you have not taken your brain out for a run lately, this fascinating discussion of philosophical principles and principals is a terrific trail in the woods. 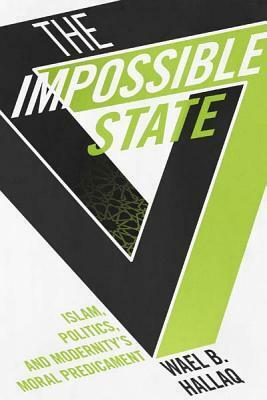 "Wael B. Hallaq boldly argues that the 'Islamic state,' judged by any standard definition of what the modern state represents, is both impossible and inherently self-contradictory. Comparing the legal, political, moral, and constitutional histories of premodern Islam and Euro-America, he finds the adoption and practice of the modern state to be highly problematic for modern Muslims. He also critiques more expansively modernity's moral predicament, which renders impossible any project resting solely on ethical foundations. The modern state not only suffers from serious legal, political, and constitutional issues, Hallaq argues, but also, by its very nature, fashions a subject inconsistent with what it means to be, or to live as, a Muslim. By Islamic standards, the state's technologies of the self are severely lacking in moral substance, and today's Islamic state, as Hallaq shows, has done little to advance an acceptable form of genuine Shari'a governance. The Islamists' constitutional battles in Egypt and Pakistan, the Islamic legal and political failures of the Iranian Revolution, and similar disappointments underscore this fact. Nevertheless, the state remains the favored template of the Islamists and the ulama (Muslim clergymen). 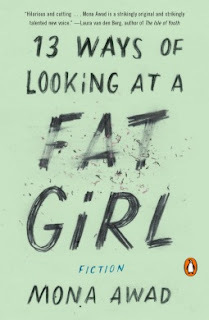 Providing Muslims with a path toward realizing the good life, Hallaq turns to the rich moral resources of Isl...(continued on CUP website)"
For readers of Lorrie Moore, Jennifer Egan, and Lena Dunham, 13 WAYS OF LOOKING AT A FAT GIRL is a dark, hilarious, acutely written collection of vignettes which skewers our body image-obsessed culture while simultaneously delivering a tender, sympathetic portrait of a difficult but unforgettable woman whose lifelong struggle to lose weight comes at a high cost. 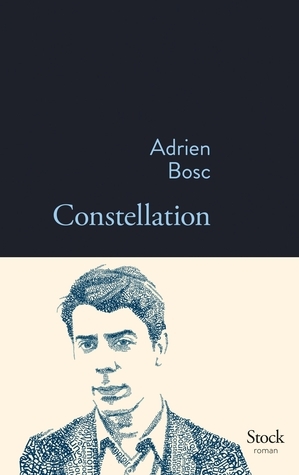 This best-selling debut novel from one of France’s most exciting young writers is based on the true story of the 1949 disappearance of Air France’s Lockheed Constellation and its famous passengers. On October 27th, 1949, the newest crown jewel in the Air France fleet, the Constellation welcomed thirty-eight passengers aboard a flight from Paris to New York, including the world famous boxer Marcel Cerdan and virtuoso violinist Ginette Neveu. In his best-selling debut novel CONSTELLATION...Bosc is as a detective trying to solve a crime, drawing a spider web of connections that grows exponentially in spectrum; in telling these stories, Bosc brings us to the Italian-American mafia in pre-revolution Havana, to the private love letters of Édith Piaf, to the quickie divorces of the rich and famous in 1940s Reno, Nevada, to his own correspondence with the son of one of the Constellation’s victims. In this wonderfully dense slim novel Lena Andersson manages to encapsulate the intensely personal—the treatment of a woman writer in love with a famous painter who is uninterested in her—and broaden it to encompass larger political questions and concerns. As it happens, this is precisely what I have been mulling over lately when considering the foreign affairs of nations. Andersson’s fascinating study on the monomaniacal intensity of a woman in a relationship she is not able to control, being the partner who cares too much and who therefore has less power, dovetails nicely with the direction of my reading and thinking. Part of the pleasure of this novel comes from listening to the undeniably realistic internal confabulations of a woman under the influence of an overwhelming attraction she cannot escape. We’ve all been there, to greater or lesser degrees. The pleasure and pain of an unrequited love is something none of us forget. What a remarkable idea, and since it is expressed on the first page of the novel, we are obliged to apply its principle throughout, finding plenty of contradictions in her approach since her passionate though unrequited love clearly colors her reality. 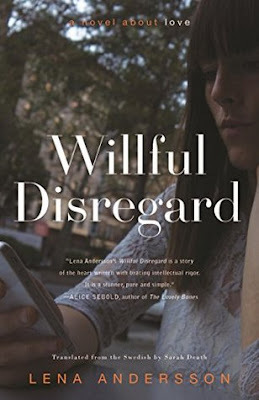 She experiences “willful disregard” for facts. The obsessive circuit of her rehashing of events and conversations leads her to conclude that the object of her attention does not love her but the slightest attention on his part can restart the destructive obsessive cycle all over again. At one point Ester travels to Paris in the spring to see if she can break the cycle and look at the world anew but “Paris didn’t help. Nothing helped you still had yourself with you.” Truer words… We feel her pain. Shortly after her return to Stockholm she calls her ex-boyfriend, the one she threw over when she became obsessed with the artist she is pursuing. We are not exactly sure why she calls her old boyfriend, Per, and neither is she. Per is clearly in the weaker position of the relationship, as he loves her more. After her call, Per’s obsession with Ester begins anew, with Per calling her twice a day, culminating in Per’s shrill denunciation of her disturbing his hard-won equilibrium after her departure last time. This portion of the novel recalls perfectly the novel Climates, André Maurois’s depiction of a trio of loves, all unrequited. We create our own climate in the atmosphere of our minds. Other people may or may not feel comfortable in that climate. Ester had a group of women friends with whom she shared the story of her obsession, and they ended up telling her “he’s just not that into you.” She turns her back on them since they clearly do not understand. As the finish of the novel approached, we savor the final pages, sure that some resolution is imminent. The reader finds oneself simultaneously annoyed with Ester for her blindness and outraged by Hugo, the object of her affection, for his brutish manipulation of Ester. "He often talked like that, she noted, about nobody doing anything, saying anything, having the guts for anything. They were all morally corrupt, bankrupt and cowardly...Ester looked at Hugo. This body and this consciousness were what she had been yearning for, all day every day for almost a year and four months…How is it, she asked, that only Westerners have to answer for their actions and ideas, not other people?" Ester's bewilderment and disgust at this point are very nearly enough to tip her into recognition of her delusions. Undoubtedly a great deal of Ester’s obsessive love was her own construction of what Hugo’s ideas as an artist represented. Hugo was a construct, and what she imagined did not exist outside of her own mind. The final few pages of the novel are a worthy finish to a novel of obsessive love, reading like a thriller of the heart. "'Best of luck, then', he said...'Best of luck, then', she thought, a phrase with all the qualities of a murder weapon", words that drive a stake through the notion of love. But it isn’t over even then. She still needed final confirmation. A terrific novel that brings into relief human capability and culpability, Willful Disregard won the 2014 August Prize awarded by the Swedish Publisher’s Association, and the Literature Prize given by the Swedish newspaper Svenska Dagbladet. Translated into twelve languages, it was published in English in Britain in 2015. It was developed into a screenplay in Sweden and was performed on a minimalist stage in 2015 with a cast of five. 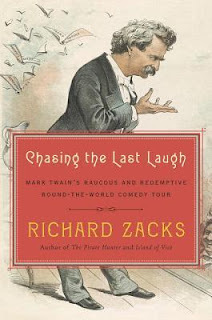 It is being released in the United States this week by Other Press.